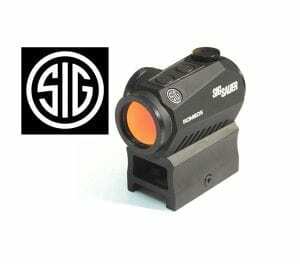 Sig has hit the nail on the head with the release of their Romeo5 (R5) red dot. I’m by no means saying this is the best optic ever given to the pew pew market. Not by a long shot. However, not all of us can afford, or want to buy a $400-$1000 optic for our $900 firearm. The niche the R5 fills is what many of us have been hoping for: battery life, reliability, clean glass, warranty, and most of all, affordability. 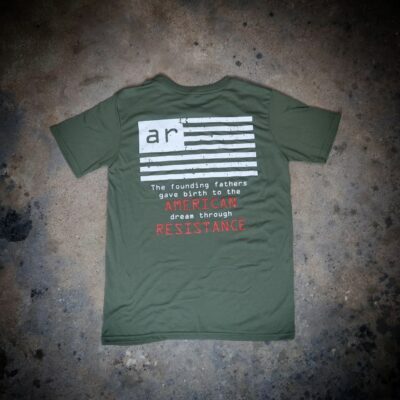 It’s coming from a company that’s been around and has the trust of the firearms industry. It’s currently selling at a retail price of $170. But that’s not what really grabbed my attention. With 40,000 hours of normal use on one battery is what intrigued me enough to buy one and see if it passed the test. At $170, it was worth the gamble. Since my time in the Marine Corps, EOTECH has been my choice. Probably due to the fact it’s the first red dot optic I was exposed to. EoTech caught some flack after their issues with dimming optics and/or loss of zero in extreme temperatures. I didn’t send mine back when they offered, because quite frankly, I like it and I don’t expect to be in those temperatures. Down side to the EoTech 552 for me? Battery life. Double AA’s are easy to find and cheap so that was never really too much of a concern. Then the Trijicon MRO came out. It’s smaller than the 552, and has much more life on the battery. Plus, when it comes to optics, Trijicon makes some of the most solid stuff I’ve seen. It is a bit pricey at a retail price of around $525. It did win up against EOTECH after I had the chance to use it with PVS-14. The MRO is by far the best red dot optic I’ve used with NVG’s. The field of view while using PVS-14 and MRO together is by far the best I’ve used yet. With only a faint glimpse of the body of the MRO, it’s hard to compete with in that area. The Romeo5 is doing really well. I’ve had it now for about 4 months on my 16″ 556. So far? Flawless. The use with PVS-14 is right there with the Trijicon’s MRO. Great field of view and a great picture through the NVG’s. It’s got a 1X20mm objective, CR2032 lithium battery, and 2 MOA dot. I’ve never manually turned the power off and no sign of dimming or flickering. I’ve had a concern with the single screw that’s used to mount it. When I installed it, I used a drop of blue locktite (as I do on all my hardware) and no sign of loosening. It’s been zero’d once and still holding strong. The 2MOA dot is clear in broad day light and in low light. It’s got 8 daylight settings and 2 NV settings. The 1.41″ Absolute Co-Witness is a perfect setting for the AR platform. The windage and elevation adjustments are clear and Sig did a great job of making the caps the tools for the adjustments. And don’t worry if you loose the caps, there’s little chance of bumping the dials and knocking out the zero. They seat firmly and show no signs of every backing off on their own. Final thought: The quality’s there, the battery life is outstanding, and it’s not going to break the bank. It lives up to Sig’s industry reputation.